Congratulations on making the smartest decision you could make today, and giving “How to Talk to a Guy” the chance it deserves to help you get the relationship you want. However many of my best customers are a lot like me—they are a tad impatient, and they want more than just the right words to say, they want the WHOLE package. As you may know, saying the right thing is very important. However, sometimes, what you say just isn't enough. Have you ever seen a relationship that fell apart after a few weeks or months of being together? This happens because while you may communicate all the right things, if your beliefs and lifestyle aren't in alignment with the type of relationship you want, things will still fall apart. 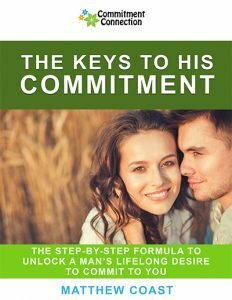 If you want him to be yours and only yours forever, you need his commitment. Yes! I will add The Keys to His Commitment upgrade for just $37. I have 60 days to try it out. 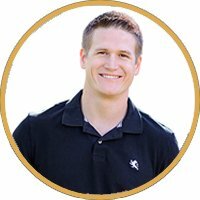 Hey Buddy!, I found this information for you: "The keys to his commitment Up 2". Here is the website link: https://commitmentconnection.com/k2hc-up-97-2/. Thank you.